Many people understand that before they set out to shop for something for the first time…particularly something that they expect will be a long-term investment…they need to have a thorough understanding of what they should be looking for. Buying a Pair of Safety Glasses Because of the Cheap Price Tag: While you won’t have any trouble finding a good quality pair of safety glasses for a reasonable price (sometimes as low as $20, with most hovering somewhere above $100), you don’t want to buy protective eye wear solely because the price looked right. Chances are that if you find some safety glasses that are a mere $10, the quality of those glasses probably aren’t where they ought to be. This just means that you will end up with glasses that break sooner than you expected them too and worse, won’t do an adequate job of protecting your eyes. Before you set out to shop for safety eye wear, have a budget limit in mind. Know what you are willing and able to pay. Obviously, when you have a budget limit you can stick to, it ensures that you don’t end up paying more than you needed or wanted to. 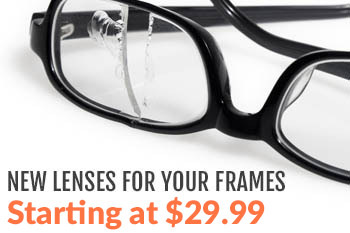 At the other end of this, be wary of any safety glasses that you see at astoundingly low prices. You don’t want to have to deal with the headache of buying cheap safety glasses, having them get damaged quickly, and then having to go back and spend even more money on better glasses. Forgetting to Take Into Account The Lighting Condition of the Environment You’ll be in: What are you investing in a pair of safety glasses for? Is it too work indoors or outdoors? What kind of lighting will you be exposed to when wearing the safety glasses. These are all important questions to ask since you need to take into account the lighting condition of the environment you’ll be in before your can find safety glasses that will effectively protect your eyes in said environment. You can invest in the best pair of safety glasses in the world with all of the bells and whistles and fancy safety features, but if you don’t have the appropriate lens shade for the environment’s light conditions, you simply won’t have the right protection for your eyes. If you routinely work outdoors or will be wearing your safety glasses for activities like motorcycle riding on bright, sunny days, pick safety glasses that come with a smoke or grey tint. If you will be in a somewhat dimly lit area or outdoors during cloudy, overcast conditions, choose lenses with shade colors such as brown, amber, or yellow. If you are working indoors, clear lenses always tend to be best. Finally, if you anticipate working in environments will all kinds of lighting conditions or will be riding your motorcycle during the day, night, and varying weather conditions, you might want to invest in safety glasses that come with interchangeable lenses or lenses that change colors when the light changes. 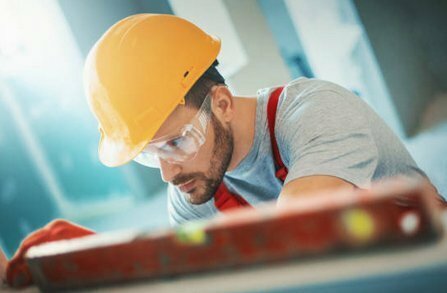 Foregoing Protective Eye Wear That Meets Safety Standards: In order for you to confidently invest in a pair of safety glasses, you need to make sure that any eye wear you choose meets the appropriate standards for safety. When you are reviewing the product details of the eye wear you are thinking about buying, it should be listed somewhere in the details that the glasses have either met and/or exceeded the safety standards of ANSI Z87.1. Don’t be temped to by a fashionable pair of specs that seem “safe enough” because they are built with a durable material like polycarbonate. 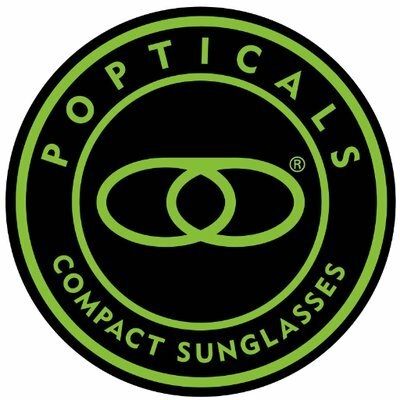 In most cases, polycarbonate lenses do pass for sufficient high-impact protection, however, that doesn’t mean they are ANSI Z87.1 certified. The only way to know if they are ANSI Z87.1 certified is if it says they are in the product description. Make sure the safety glasses you are looking at are compliant with the industry standards for safety, rather than just conventional glasses that have been fitted with strong prescription lenses. Not Being Cautious About the Relationship Between Prescription and Polarized Lenses: While polarized lenses are a perfectly good option for most people working outdoors, performing sports in bright daylight, or riding their motorcycle in the sunshine, people who wear prescription lenses want to be cautious about polarized lenses. Why? If a person wears prescription lenses in addition to polarized lenses, it often makes it difficult for them to clearly see things such as LED screens. This can become dangerous in certain work settings that have lots of LED screens. If your eyesight requires corrective lenses, it is recommended that you only choose non-polarized safety glasses so you won’t have to worry about distorted vision while at work. Picking Safety Glasses That Don’t Offer Necessary Information: This one seems like an obvious point, but it isn’t uncommon for people to just settle on the first pair of safety glasses they see, regardless of whether or not they offer any really protection or safety benefits. Whether you are shopping online for safety glasses or shopping locally at a store, you need to know about all of the product details before you buy anything. Take it as a warning sign if you come across a pair of safety glasses online, click on the link, and find there is no information about the glasses or hardly any at all. Only consider safety glasses that provide a brief paragraph describing the basics of the eye wear as well as some bullet point product details. Examples of what you’d want to find in the bullet points include the following: ANSI safety standards, lens colors, lens material, frame material, and other unique protective features. Additionally, be careful about buying safety glasses online that don’t come with more than one photo. Only one photo of the glasses means you are only getting one angle and that doesn’t really give you a sense of the fit and functionality of the glasses. Make sure there are at least two to three photos providing different angles of the glasses. Those photos should also be clear, sleek, and professional; not grainy and blurry. Looking for more advice on how to find the right pair of safety glasses for your eye protection needs? Don’t hesitate to contact us with any questions that you might have. You can also keep reading our other blog posts for more free resources or visit out official website for additional help and information. I will make sure to follow these tips before shopping for safety glasses. Thanks for sharing.